These phones are designed for very high noise environments. 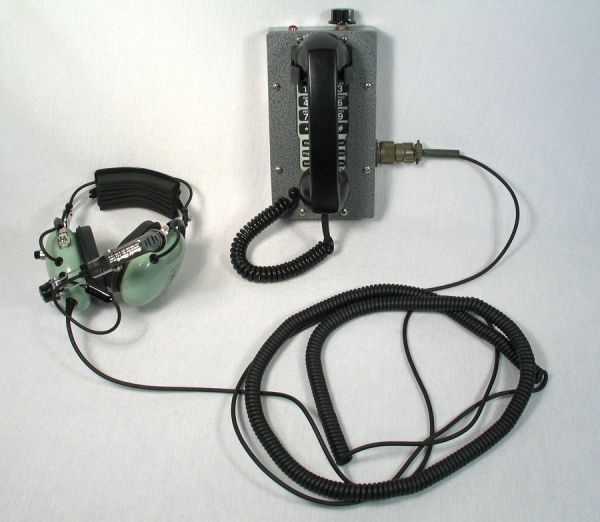 The phone is composed of 2 pieces, The main phone which is encased in a metal case, with an extended hookswitch, membrane keypad and a strobe that lights when ringing. The headset is an aviation headset and the microphone is very directional and noise cancelling. We have installed these phones in Ships engne rooms and steering gear rooms with very successful results. These rooms are so loud that you MUST wear hearing protection. We aslo have heavy duty industrial phones, explosion proof phones and other industrial telephone devices. Call or email us for more information on these headsets.